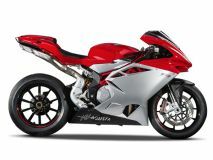 MV Agusta bikes price starts at Rs. 15.60 lakh for the cheapest bike Brutale 800 and goes up to Rs. 50.62 lakh for the top model MV Agusta F4. MV Agusta offers 4 new bike models in India. F4 (Rs. 27.25 lakh), Brutale 1090 (Rs. 19.30 lakh) and F3 800 (Rs. 17.99 lakh) are among the popular bikes from MV	Agusta. 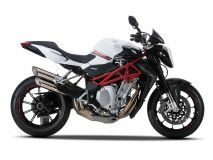 In the year 2019/2020, MV Agusta is going to launch 2 new models in India. Select a MV Agusta bike to know the latest offers in your city, prices, variants, specifications, pictures, mileage and reviews. Q. Between Kawasaki Z1000 and MV Augusta Dragster which is better? Q. If I decided to buy this bike where should I go? and what are the chances that I would find an showroom of Agusta in Pune?? There is only one dealership available in India, which is in Pune. Please visit the official website to get all details about the dealership. The 2017 Brutale 800 makes 10PS less and weighs more than its predecessor, but is it as brutal as before? The exotic Italian manufacturer steps into the middleweight naked space with the new generation Brutale 800. What’s it like to ride? Costs less than the standard model!